Can I Learn from someone I Don’t Like? In the world of writing, I’m a newbie. As far as expertise in the genre which I’m writing, I have none. For these reasons, I sought instruction from someone considered an authority in the genre of science fiction and fantasy: Orson Scott Card. I purchased the book How to Write Science Fiction & Fantasy over a year ago, shortly after I decided to write a young adult fantasy novel. Rave reviews and recommendations from writers I trusted spurred me to make the investment in this slim volume. At that point, I hadn’t read a single book written my Mr. Card. It didn’t matter. As an instructor, he came highly recommended. As a writer, his long list of published novels, many of which were best sellers, and his numerous awards seemed like firm second opinions. Then I read Pathfinder. It’s an interesting blend of science fiction and fantasy (since the main character, Rigg, has a special ability). I enjoyed the story – right up until the end. More recently, I read Ender’s Game. I noticed that Card used the same style of prefacing each chapter with a scene happening outside the main action as he had used in Pathfinder. They divulged information and motivation for the benefit of the reader. In that book, these scenes were actually things that happened in eons past that would eventually help the reader understand the conclusion of the book. I surmise the purpose for these additions is three-fold: build tension, exposit backstory and offer information the protagonist doesn’t have. I don’t care for this style of writing, especially not for young adults. I’ve worked with reluctant and struggling readers for the past seven years and this sort of writing confuses and frustrates them. Okay, but Shari, isn’t that just a small percentage of the young adult population? You might be surprised to learn that according to findings presented by Scholastic only 50% of young adults claimed to read for pleasure. Percentages decline for 16-18 year olds (school work and extracurricular activities are peaking then). 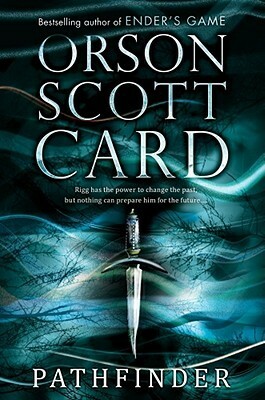 Back from the statistical tangent: Orson Scott Card is surely an accomplished writer and an authority in his field. I haven’t been impressed with his fiction writing. The How to Write book netted a slightly different response. Card freely shared his methods for finding ideas and nurturing them to the point where they can support a story. His insight into world building – essential for fantasy writers – helped me outline rules for the magic used in my current novels. In short, Card taught me important things. If I had decided not to read his writing instructional manual because I didn’t care for a couple fiction stories he’d written, my writing would have suffered. We can all think of experts we aren’t impressed with in one way or another. Why would the field of writing be any different? Any expert with the inclination to share their wealth of knowledge deserves our attention. What are your experiences with this phenomenon? Have you ever been surprised to learn from someone who your preconceived notions tempted you to disregard? Sharon Lee spent her youth talking to animals, who never replied, until she escaped to Narnia, where animals did talk back. The magical portal of reading made her a dream weaver. Now, she invites fantasy addicts and dreamers to time travel into immortal, mystical realms. Why Do People Call it the Golden Gate? Follow me on Amazon and ever miss a new book. Are these on your TBR List? Yes, I read tons of books! Share book reviews and ratings with S.L., and even join a book club on Goodreads.